Here's a quick refresher on what is cholesterol, why is it important for our body, how medicines work and what are their side effects, and the role Lingzhi plays. About 75-80% of the cholesterol in our body is produced by our own liver. Only 20-25% come from our food intake. The LDL is "bad" cholesterol because it sticks to the blood vessels, resulting in Hardening and Blockage of arteries. However, if LDL is balanced by a healthy level of HDL, the "good" cholesterol, then it is of no concern, because HDL brings excess LDL back to the liver. (i) calcification, where calcium build up in places where it doesn't usually appear. (ii) thrombus caused by the aggregation and clotting of too much platelets, thereby creating blood clots. (a) Aspirin stops platelets from sticking together to form blood clots. Some side effects include stomach pain and internal bleeding. (b) Statin blocks the enzyme called HMG-CoA Reductase (which is a substance the body needs to make cholesterol) and thus stops the liver from producing too much cholesterol. It acts as a Blood Thinner, by diluting and reducing the viscosity of the blood. One of the best selling statins is atovarstatin, marketed under the trade name Lipitor. Apart from cholesterol, it is also prescribed by doctors for people with blood circulatory system problems, including HBP (caused by blockage of arteries) and diabetes (which can cause heart attacks and strokes). Statins are used to lower blood lipids and treat hypercholesterolemia, and should only be used for people who have not responded to lifestyle changes (sleeping early, consuming less alcohol and stop smoking) and special diet (less red meat, no fried food etc) over a period of 4 months. 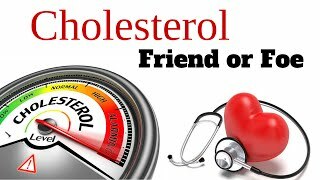 Your doctor should not immediately prescribe you drugs without first advising you to reduce your cholesterol level the natural way. Note: Statins only block the enzyme from producing new cholesterol but the excess old cholesterols are still circulating in the bloodstream, not cleared. - Damage muscles, create muscle pain and cause inflammation. This happens gradually and after 5-7 years of consumption, patients will find that their legs have no strength, becoming weaker and weaker. - Loss of memory. Under TCM theory, the liver transport blood to the brain. Due to the blockage, less blood flows to the brain, resulting in death of brain cells and hence memory loss over long-term consumption. - Joint pain and back pain. On the contrary, a Blood Cleanser (such as Lingzhi) works differently. (i) Removes excess LDL from the blood vessels. (ii) Removes excess calcium deposit from the blood vessels. (iii) Cleanses the blood from blockages like thrombi. (iv) Regulates the functions of macrophage and endothelial cells. An auto-immune disorder will cause them to behave abnormally. When there is too much fats in the blood vessels, the macrophages would swallow them. But due to the disorder, the macrophages are unable to stop and continue to swallow until they explode. The waste then remains at the site, causing inflammation in the area. Endothelial cells sense the damage and go to rectify it. However, such actions cause blockage when they release too much tissues in their effort to repair, narrowing the vessel passage more and more, potentially causing strokes or heart attacks. If cholesterol is so bad, why do we need cholesterol? It is an important building block for body tissues and cell membranes. It is a source of energy. It helps in the production of hormones, like oestrogen, testosterone and adrenal hormones. It assists in bile production in the liver. If the liver sees that the body's energy and hormone level are low, it will keep producing more cholesterol. For example, according to TCM theory, the gallbladder detox and rests at 11pm-1am and the liver detox at 1am-3am. We should be in deep sleep during these hours for the liver to do its job. People who always sleep late will easily get gout (excess uric acid cannot be excreted by the liver) and are at higher risk of getting gallstones (excess calcium buildup which leads to calcification and stones). If a person's heart always beat very fast, it utilises a lot of energy, so the liver keeps producing cholesterol to replace the energy used. Likewise, smoking and alcohol also use a lot of energy thus induce the liver to over-produce cholesterol. Taking Lingzhi help you regulate your cholesterol level. The active component that works on choelsterol is Triterpenoid, which triggers the liver to reduce production of cholesterol. Choose Yung Kien Ganoderma as it contains 12.6% Triterpenoid. What is the difference between Drugs and Lingzhi? Statin drug can only block the liver from producing cholesterol. Lingzhi works to reduce the LDL cholesterol. Lingzhi also help regenerate new liver cells. Note that should a person have a lot of blockages in his blood vessels, he may feel a lot of ache in his body during the period of healing reaction. What else must you take at the same time? (i) Jia Hor Soya Protein - the lecithin also works to cleanse blockages of the blood vessels. (ii) Jia Hor Fiber - the maltodextrin is helpful in absorbing the free fatty acids from our food to reduce the assimilation of cholesterol into the blood. 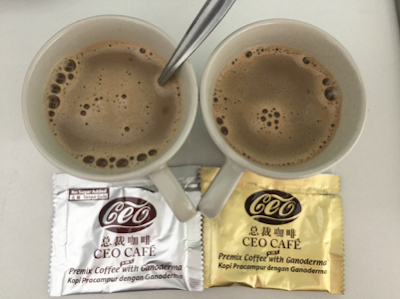 Take these together with 12 capsules Yung Kien Ganoderma a day, over a period of 6 months, as recommended by Dr Chen. Click here for details.. Please email me at askfuiping@gmail.com to order your solution for high cholesterol problem.